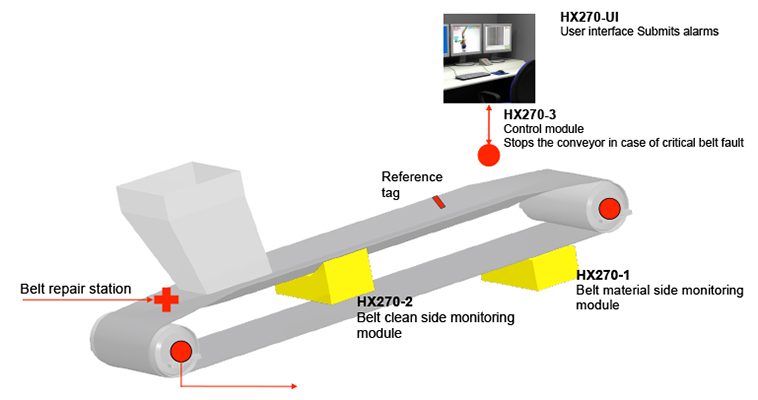 The HX270 on-line conveyor belt condition monitoring products are used in production critical conveyors, which need continuously condition monitoring. Belt damages can cause unscheduled production stoppage, decreased belt lifetime and substantial repair work. In addition, belt failures can be serious safety risks. 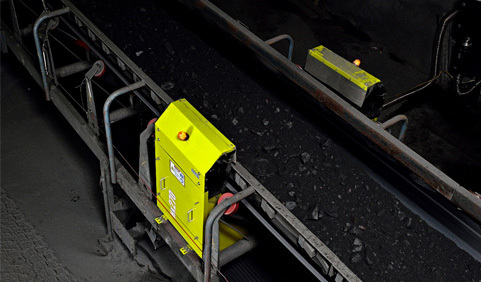 The Belt Condition Monitoring System monitors the belt by using material and clean side monitoring modules located in the optimal position in respect of reaction to the belt damages. 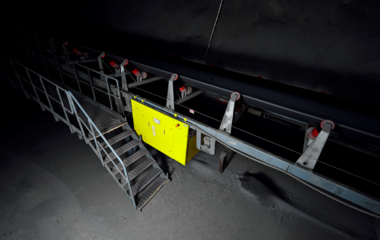 The loading and unloading points are the most critical positions of the belt conveyor to get the belt damaged. The system is controlled from the control room. The monitoring modules are connected to control module by using LAN connection. The system alarm, conveyor control and status signals can be integrated to any Customer’s control system. 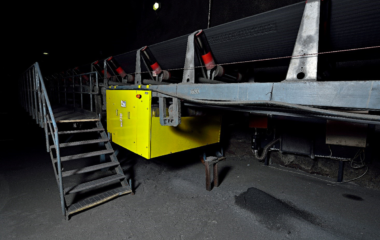 The system has a constant reference point in the belt and continuous belt movement measurement, which enables fully automatic functioning of the system in all conveyor use situations. The system locates the belt damages automatically and tracks them in every belt loop. Alarms are given only when new belt damage exists or existing belt damage 3D shape changes enough. 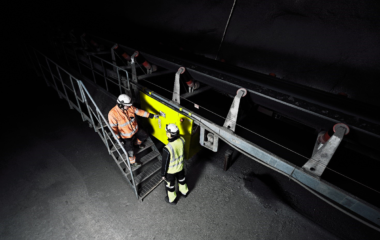 The system can drive selected belt damages automatically to a predefined repair station with full belt speed. There can be one or multiple belt repair stations for belt damage inspection and belt repair actions.